NEW ORLEANS – Wide receiver Alshon Jeffery laid facedown on the field at the Mercedes-Benz Superdome in agony. 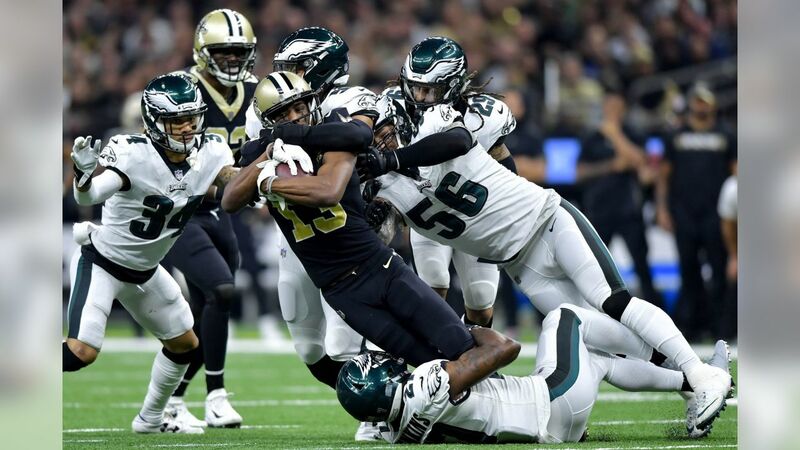 A pass that he has caught thousands of times in his career, a routine throw from quarterback Nick Foles on a second-and-10 play from the New Orleans 27-yard line with two minutes remaining in Sunday’s NFC Divisional Playoff Game went through his hands and into the grasp of New Orleans cornerback Marshon Lattimore, ending the Eagles’ final drive and, ultimately, their season as the Saints escaped with a 20-14 win to advance to Sunday’s NFC Championship Game against Los Angeles. Hoping for one more dose of Foles magic in the fourth quarter, the Eagles instead were dealt a cruel ending to the 2018 season. Trailing by six points after New Orleans’ Wil Lutz missed a 52-yard field goal attempt, the Eagles moved from their 42-yard line with 2:58 remaining in the game into Saints territory when Foles completed a 16-yard pass to tight end Zach Ertz followed by a Saints penalty for roughing Foles on the next play. On second-and-10 from the New Orleans 27-yard line, Foles dropped back to pass and saw an open Jeffery, running an “in route” on the left side of the formation. He was open. The pass was there. And then it wasn’t, as New Orleans celebrated and the Eagles consoled a visibly distraught Jeffery on the sidelines. That the Eagles were in position to win at the end was remarkable in itself. A 14-0 lead gained in a perfect first quarter slipped away slowly as the Saints chipped away, chipped away, chipped away, and the Eagles couldn’t respond. A first-play interception by cornerback Cre’Von LeBlanc set the tone – New Orleans quarterback Drew Brees threw deep for wide receiver Ted Ginn, but LeBlanc made a leaping, sensational interception to give the Eagles possession – and the offense followed with two long scoring drives and, wow, the Eagles had just the start they wanted. The Eagles raced out to the two-touchdown lead over the Saints thanks to a balanced array of explosive offense and suffocating defense. With the ball near midfield early in the second quarter, the Eagles wanted more. And in an instant, a Foles underthrown pass intended for Ertz down the left sideline that Lattimore intercepted, everything changed. A Saints offense that began the game showing the rust from a long layoff got hot. A snap to personal protector Taysom Hill gained 4 yards on a fourth-and-1 fake punt to keep the ensuing drive alive. A fourth-and-goal pass to Keith Kirkwood was completed to cap the touchdown drive. An Eagles season that turned around after a November 18 loss at the Mercedes-Benz Superdome ended here amid an avalanche of injuries, an offense that went stagnant after that Foles interception – you could also add in a Brandon Graham strip-sack just a few moments before the interception that Graham couldn’t corral. Had he, the Eagles would have had the football deep in New Orleans territory late in the first quarter – and a defense that couldn’t solve Brees to get off the field for long stretches of time and, in the fatal moment, the Jeffery drop and the Lattimore interception. So, it’s over. It was a wild, invigorating ride while it lasted. 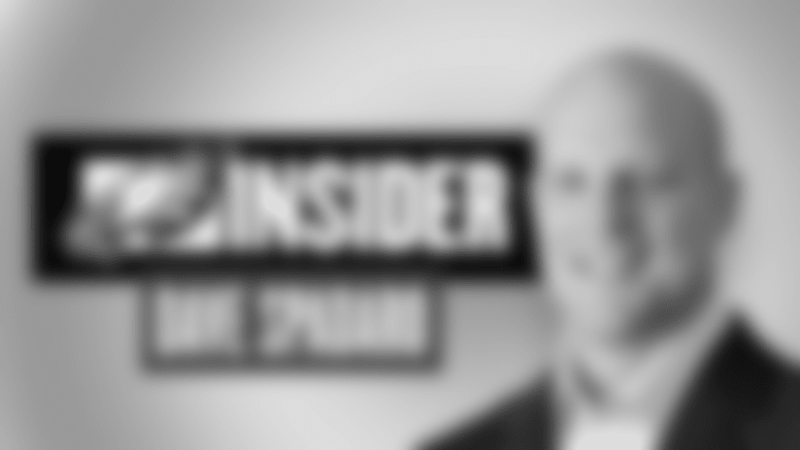 In the next few weeks the Eagles will put together their plan to bounce back for the 2019 season, but for now the sting of losing and ending the quest to repeat as Super Bowl Champions stings. The stark turnaround and crushing ending marred an absolutely terrific start. The Eagles intercepted Brees to begin the game and then Foles led a magnificent seven-play, 76-yard drive, completing all five of his passes for 65 yards, including a 37-yard strike to wide receiver Jordan Matthews to give the Eagles the early advantage. After a three-and-out by the Saints' offense, the Eagles went 75 yards in 10 plays and scored on a Foles quarterback sneak from the 1-yard line. At 14-0, the Eagles had everything going their way. The defense stopped New Orleans on its third possession and the Eagles again had the ball in good field position with an aggressive mentality. But on the third play of the second quarter, Foles threw for Ertz, who had a step on Lattimore. The game of inches went the other way against the Eagles this time, and the Saints had the football and some momentum. From that point on, the Eagles just got nothing going. They had just two first downs from that point through the end of the third quarter. The defense couldn’t stop Brees and the Saints' offense, which took the lead late in the third quarter with a preposterous 18-play, 92-yard drive that ate up 11:29 off the clock. In the fourth quarter, the Saints dictated to Philadelphia in every way right up until the Lutz miss. Maybe Foles had one more football miracle in him. There was certainly plenty of confidence that the team would make something great happen and put the ball in the end zone and keep this season alive. As the Eagles departed New Orleans, they did so with their heads held high. They battled New Orleans and they had the football and a chance to take the lead at the very end. They just came up short. It happens. It’s gone the Eagles’ way plenty of times since September 2017, and the success the Eagles have had since then, well, how can anyone complain? It’s been an incredible ride.